After somewhat of a slow start, Windows 10 is now in widespread use. Businesses and individuals have been using Windows 10 for some time now and naturally, a steady stream of updates, fixes and patches have been rolling out. For the first time, Microsoft leveraged artificial intelligence at scale to improve the quality and reliability of the Windows 10 April 2018 update. In a recent blog post, Microsoft declared this the fastest version of Windows 10 to reach 250 million devices with a mere 45 days between the launch of the April update and the announcement that it’s ready to be rolled out worldwide – their fastest transition yet from consumer-only to enterprise-ready. However, no update is completely free of problems. Windows users understand the enormous number of configurations, variations in hardware and other idiosyncrasies that can turn what should be a routine update into a phone call to their IT technician. As with previous updates, the Windows 10 April update introduced some new features and also some widespread issues. Software bugs are nothing new – they inevitably come with the territory. Even so, some updates were found to be more problematic than others, and this update in particular has garnered its fair share of complaints. But before you take drastic measures like reinstalling your operating system or getting a new device, know that Microsoft has been hard at work on a June update designed to address common issues with this particular software update. 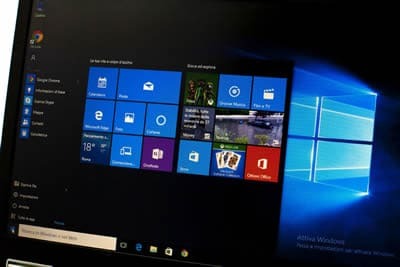 The following are some of the most common problems Windows 10 users encountered with the Windows 10 April update, along with their associated fixes. If you experienced problems with the sound on your computer, most notably the microphone, you’re not alone. The April Windows 10 update is known to cause microphone problems, but the good news is that the fix is relatively easy. The Fix: Begin by going into settings and look under the privacy section. Click on Microphone under “App Permissions” and make sure the apps you need have access to the microphone and click the toggle to turn the microphone back on if needed. A number of app issues have also been reported with the Windows 10 April update. As you know, the ability to use apps from the Microsoft store is one of the most useful features of Windows 10, but many users have been frustrated when trying to install new apps or use the ones they already have. Some of the biggest complaints center on the most popular apps – browsers like Google Chrome and Mozilla Firefox and productivity aids like Slack. Sometimes these apps freeze during installation; other times they simply refuse to start. The Fix: This is one of the issues to be addressed in the June update, so that may be all that is needed to fix the problem. In the meantime, you can try enabling the Fast Startup feature, which has been known to fix the app problem, at least temporarily. The good news is that Microsoft has been down this road before, and they have a plan in place to address these issues. The June 2018 update is intended to fix many of these concerns, so that should be your first step toward resolving any problems you’ve been experiencing since the April update. In addition to addressing Microphone and App problems, the June Windows 10 update is said to include fixes pertaining to an issue with QuickBooks where the software fails to run in multi-user mode, problems with location services in Internet Explorer and issues with brightness and black screens on certain laptops. Software bugs aside, if you use Windows 10 in your business, applying updates is an essential part of maintaining the network security in your business. Although patches and operating system updates can be problematic and introduce additional issues, not applying them could leave security loopholes in place which could be much more catastrophic than a few minor software issues. With new vulnerabilities cropping up every day, no one can afford to operate on an outdated operating system. As a Windows 10 user, it’s important to apply every update Microsoft provides, but don’t have to do it on your own. Whether you’re updating a single computer or hundreds of workstations, Ontech Systems is here to help. Our technicians are acutely aware of issues that pertain to Windows 10 updates and we can help you resolve any address any issues you might encounter. From Windows 10 issues associated with the April 2018 update specifically, to ongoing support and automatic updates, Ontech Systems is your Windows 10 expert. Don’t let your productivity suffer. Call us today at 262-522-8560 and we’ll get you up and running in no time! When it comes to electronics, safety recalls are common, particularly when batteries are involved. HP has recently issued a voluntary recall for the lithium-ion batteries in the following models, due to “the potential to overheat, posing a fire and burn hazards to customers”. The models above were shipped with batteries that fall into this recall if their barcodes begin with the following prefixes: 6BZLU, 6CGFK, 6CGFQ, 6CZMB, 6DEMA, 6DEMH, 6DGAL, 6EBVA. According to HP, just 1% of the HP notebooks sold throughout the two year period were affected by the voluntary recall. Not sure if your laptop is affected? You can manually validate whether your laptop is affected by typing your laptop serial number and battery barcode into HP’s recall webpage.